October 12, 1967 was my 21st birthday, and the photo below is very descriptive. 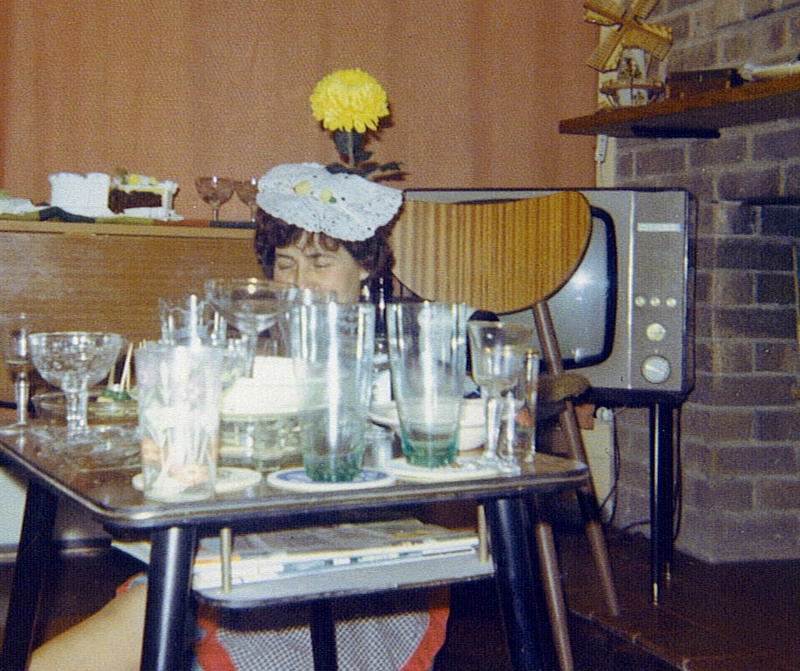 That is my Mum sitting on the floor with a doily on her head! To understand this photo, you have to understand my Mum! She was born in 1919 and her Dad was a farm worker. She was apparently a rather sickly child who was often referred to as the “runt of the litter” (there were two other girls). They did not expect her to live a particularly long life however, she survived a basic education and went on to work in Lewis’s Department Store, in Birmingham, as a sales assistant. In the early part of WWII, she was conscripted and, out of the choices offered her, she chose to work as a “clippie”* on the buses! She used to recall many antics during air raids when they had to head for the nearest shelter! I don’t know how/when she learned dressmaking but that, together with knitting, is how I remember my Mum’s skills. Her dressmaking eventually provided a steady income from the local theatre, and her knitting was a source of admiration to me. She would have so many colours going at the same time as she knitted a sweater, and I never worked out how she stayed in total control of them all! 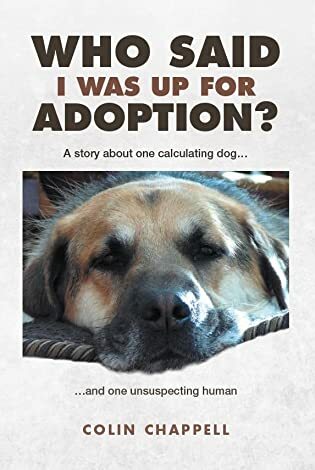 Probably because of her “runt of the litter” label, and presumed treatment as such, she was always a “happy go lucky” personality. She had her moments of disappointment, despair and anger, but for most of the time she would see the lighter side of life. I don’t suppose for one moment that she contemplated her life too deeply, but she did (possibly intuitively) live each day to the full. She was always having a giggle over something or other. She outlived both her sisters, which she told everybody… and with a big smile on her face. Mum and wine were a family conversation piece on many occasions. The thought of a glass of wine would bring a big smile to her face. One glass of wine would make her really giggly. Two glasses of wine and she was laughing and giggling while trying to stay in some degree of control! A few years after the above photo was taken, a dear friend of ours attempted suicide by overdosing. Fortunately, she failed in the attempt but when discharge from hospital was imminent, we realized that she had nowhere to go, given her circumstances. She needed a total change of “scenery” and so I asked my Mum and Dad if she could live with them for a month or two. They both agreed without hesitation, but it was my Mum who took her “under her wing”. It was my Mum that spent time chatting and listening. While the individual (no name because she is still alive) obviously appreciated the time with both my parents, she remembers my Mum for looking after her and making her feel part of the family. My Mum is no longer with us, but I shall always remember her giggle, her reputation with wine, her lighthearted view of the world, and her acceptance of a stranger into her home. For all the things that happened during my Mum’s lifetime, that photo (above) describes her better than words. She was a lot of fun (and an excellent Mum)! *”Clippie” is a term used for bus conductors because they would clip (punch) a hole in the fare tickets so they could not be used again. I am glad I found this post. So sweet! Your love for your Mum comes through very well in this post. I also believe that she definitely passed on her love of laughter to you and her caring spirit. What a wonderful legacy to leave! You were blessed with a wonderful Mum. Beautiful story & even more kudos to your parents for being so understanding at a time when suicide would have been such a taboo topic. She was wonderful, and it was all intuitive. He education was relatively basic, and she had no exposure to psychology, psychiatry, courses on inter-personal relationships or other humanity related information. What was even more impressive (to me) was that she lived by Christian values, and yet had no core belief in Christianity. She just instinctively cared about others and treated everybody with respect. What a lovely and heartfelt tribute to a wonderful and humorous person and Mum, Colin! You and her must have been very close to tell from your honoring and loving words. Then it is even clearer! There is basically a certain bond between mothers and their sons. Your Mum sounds a lovely lady. I’m thankful mine is still with me, and I’m making the most of our visits. I have some wonderful memories already, and these days we are making new ones. The photo is excellent, and the flower very well positioned! It’s funny that I do not remember the day’s events, but I do remember taking that photo! This is such a nice post. Your Mum sounds like a lovely lady. Great photograph. Nice flower transplant as well. My mum was a seamstress by trade.